If you are going on a long road trip, then you need to prepare yourself in advance. And, by prepare, we do not mean only to pack your clothes. Driving for a long time can be incredibly exhausting. Here are the top tips for long distance driving that will help you get ready for your next trip. A road trip is always fun, but do not think that it is going to be easy. If you are the driver, then it will be a real test of endurance for you. Sitting at one spot for hours and being fully aware of everything going on around you the entire time is a demanding task. One of the main rules is to start the trip well-rested and to try to stay as energised as possible throughout your trip. You certainly don’t want to fall asleep behind the wheel or cause an accident because of your lack of concentration. For those who are going alone, then you’ll need to love driving. Spending hours in a car and on your own can exhaust you, and there will be no one you can complain to. But, on the other hand, you can always take a detour, listen to your favourite music, or change your schedule whenever you feel like it. Do you have a long-distance driving trip planned that you need to get ready for? Here are some tips for long road trips that will make your ride a great experience. Just like you need to fuel up your car, you need to bring some fuel for yourself. Pack some sandwiches and a variety of vitamin-packed foods in a cooler bag or an electric cooler box. Small healthy snacks will help you drive for a long time without making unnecessary fast-food stops. Fruits and vegetables, such as carrots and almonds, can help you stay energized, alert and concentrated. Do not forget napkins and plastic ware, since they can come in handy for meals on the go. If you are travelling with kids, snacks can be used as the great distractor. In addition, do not forget to stay hydrated. Drinking plenty of water will keep you more awake and alert. Water also helps the brain make electrical energy to keep your nerves working, so you will be able to think more clearly. However, there is one possible downside of this – you will need to make bathroom stops more often! This may seem like one of the most obvious long distance driving tips. 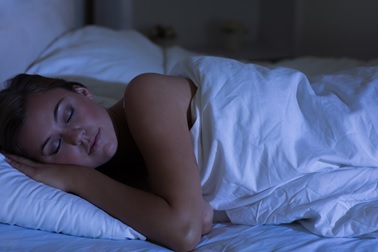 But, in reality, many drivers do not get enough sleep before they start their journey. Many people prefer to start travelling early in the morning. If you are one of them, then make sure you go to bed earlier than usual. 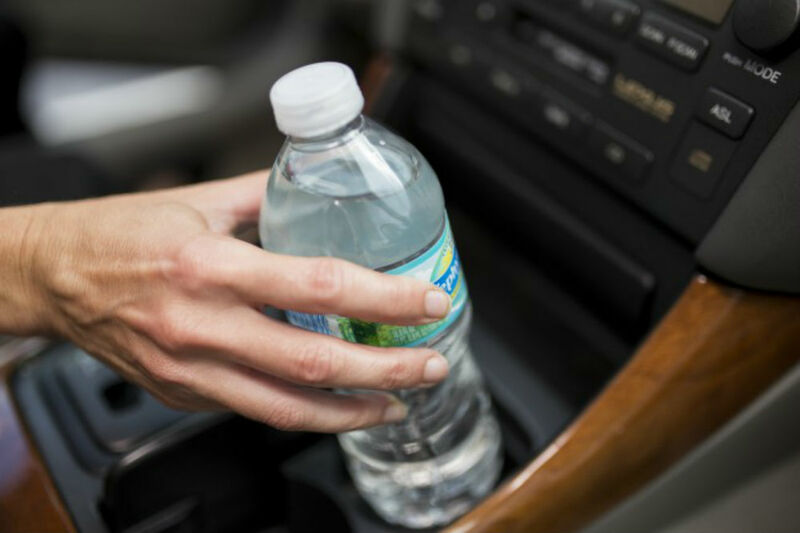 Keep in mind that caffeinated beverages are not the best way to stay awake while driving and that they can’t replace a good night’s sleep. Caffeine will make you feel more awake initially, but its effects will recede with time. Also, make sure not to drink any alcohol before your trip. Even though one beer will not make you intoxicated, it will make you sleepy. Getting around a place you have never been to before can be quite challenging. That is why a map is one of the long car journey essentials. 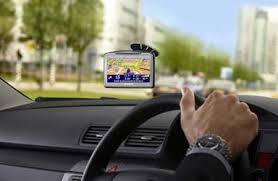 You can always download various navigation apps or follow Google Maps on your smartphone. But, sometimes, a smartphone is not as reliable as a sat navigation. More reliable navigation would be a Garmin or a Tom Tom GPS. Even though your phone probably has all the information you need, you should consider bringing a map or an atlas, in case your battery dies or you drop your phone the wrong way. Do not restrict yourself to one means of navigation; instead, have a few. Before you start your trip, you could check the map in advance and familiarise yourself with the route. If you do not have a map or you want to use only your phone for navigation, keep in mind that the navigation can use up a lot of battery power. Recharge all your devices, such as smartphones, tablets, laptops, cameras, or GPS navigations before your trip. Do not forget to bring the charger that came with the device, as well as a car charger. To back yourself up, you can even take an extra battery with you. 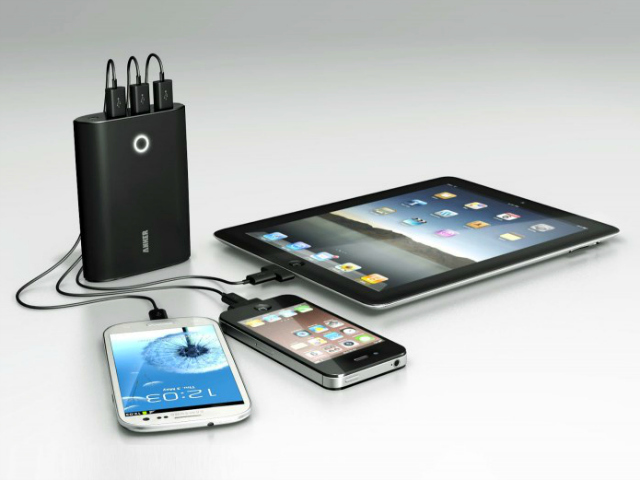 You should also think about investing in a portable power bank with a fairly large capacity. You could use it to charge all of your devices, wherever, whenever. Many of the power banks have multiple sockets; this means that you can charge several devices at the same time. One of the important long distance driving tips is to take a break every two hours or so to get some fresh air and stretch your legs. If you are feeling tired, you can even take a quick nap. You can plan these stops during meal times or choose some interesting places to visit in advance. Take breaks at services so you can use the toilets, grab some food, top up your fuel, etc. 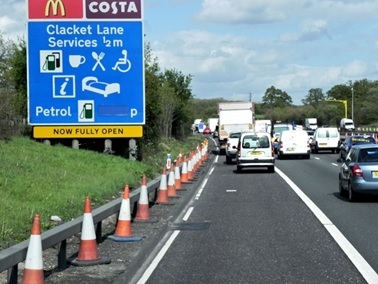 It might also be worth researching where are the services located on your route, because sometimes you could drive for a good few miles before you reach one. You should inspect your car at least a week before your trip and do any repairs that are required. If your car is not 100% reliable, investing in a breakdown cover is one of the top tips for long distance driving you can get. Even if there is nothing wrong with your car, accidents can always happen. A breakdown cover will give you a peace of mind. You will know that no matter what happens you can receive assistance on the road any time during the day. Most standard breakdown cover policies offer roadside recovery and roadside rescue. These policies are very useful if a car breaks down suddenly, or if the driver is unable to continue their journey. Driving for a long time is physically exhausting. What makes the situation even worse is that your muscles can get tense, making you feel uncomfortable. 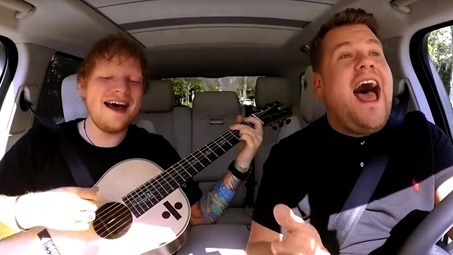 To avoid this, make sure your seat is adjusted properly for maximum blood flow. If you start feeling tense, try to “scan” your body, identify the source of tension, and get rid of the uncomfortable feeling. If, for example, your left hip is feeling sore, try leaning to the other side. 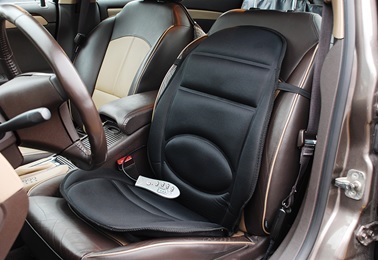 In addition, if you tend to travel long-distance often, a car seat massager is one of the long car journey essentials you should get. Sometimes, drivers get on the road without checking their tyre pressure. Having properly inflated tyres is important. Improper inflation pressure can cause tyre damage, and affect the overall ride, handling, and fuel economy of the vehicle. Tyre pressure should be checked when the tyres are “cold,” meaning when you weren’t using your car for a long time. Every service station has a pump that can be used to check and inflate your tyres. 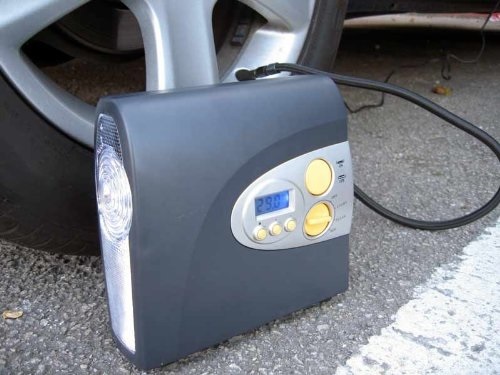 When it comes to long drives, having an electric car tyre pump in the car can be very useful. 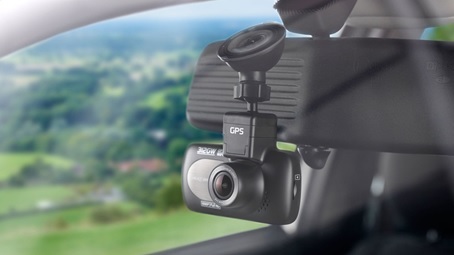 A car dash camera is a gadget that is cheap but can be very useful. If you have an accident, a dash camera may prove that you were not responsible or it can prevent any discussions with insurance companies about who was guilty. In addition, if a police officer pulls you over for a traffic violation you didn’t commit, you can always offer your dash cam footage before the ticket is written. If the officer refuses to watch it, you can use the footage in court. Listening to local radio for a long time can be boring. That is why you should prepare your favourite playlist and have it with you. Keep in mind that the playlist does not need to have music only. Audio books are great for entertainment, and they also keep the brain active without creating a distraction. Humorous books are recommended for lone travellers since laughing will keep them awake. 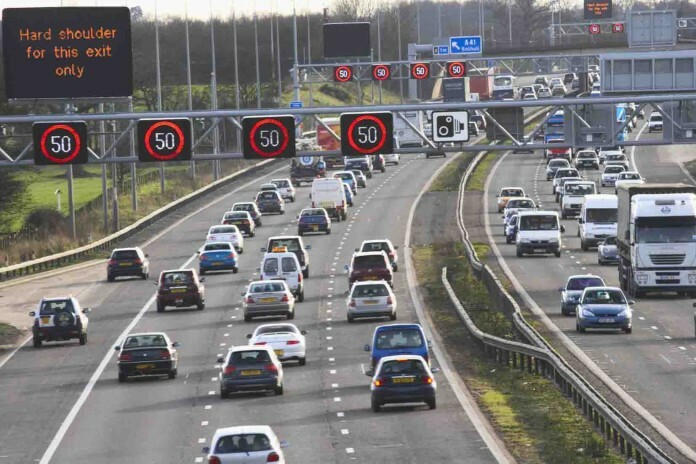 These were the top tips for long distance driving. Preparing yourself and your car properly before a long trip can protect you on the road and also make the long drive a pleasant experience, whether you are alone or travelling with a companion.